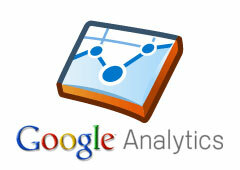 This is a pretty small change but a welcomed one for many webmasters, internet marketers and SEOs. 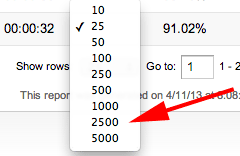 Google Analytics has quietly added or expanded the results per row option from 500 to up to 5,000 rows on a page. Previous the options included 10, 25, 50, 100, 250, 500 and now Google added to that 1,000, 2500 and 5000. Dan Barker was one of the first to spot this and posted about it on Google+. He said it right, this is a "tiny but really, really useful tweak."